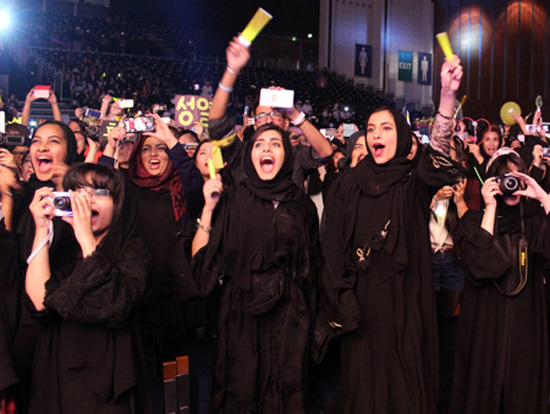 K-pop group INFINITE has wrapped up its five-month-long world tour in Dubai, the United Arab Emirates, on Friday. Woollim Entertainment said that the band has drawn a successful end to its first-ever world tour titled “One Great Step,” attracting some 150,000 fans from 21 cities in 15 countries. The tour kicked off in Seoul in August and then went through the United States, France, the United Kingdom and closed in the United Arab Emirates. 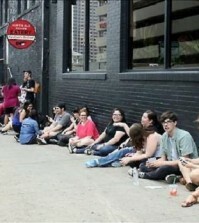 The agency said that the concerts were particularly successful in the United States and European countries, selling out tickets in the early sales. The septet hit the stages in Los Angeles, New York as well as San Jose and Washington D.C. last month. Also, in London and Paris, the group attracted far more interest than expected even though the concerts were held for the first time there. Billboard reported an article titled “INFINITE sends fans fainting at final U.S. show of world tour” on Nov. 19, which carries the concert review on how the K-pop band rocked U.S. fans there. The seven-member group made its debut in 2010 with the first mini album “First Invasion.” Since then, the group has rocketed to stardom with its trademark “Scorpion Dance” which was featured in “B.T.D” and won music awards with “Over The Top” in 2012. Billboard.com chose “The Chaser” as the No. 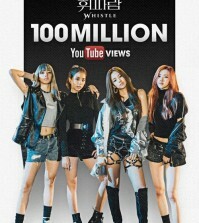 1 K-Pop Song of the year and introduced the band on their main page as a rising star whose popularity is rapidly growing in Korea and Japan last year.